Below solutions holds good for the release version 12.1. Not sure about the prevoius releases. 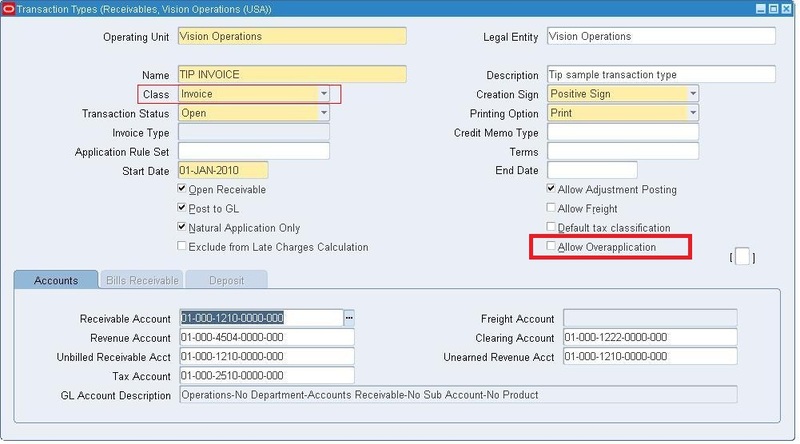 Query the transaction type of the Invoice being credited to see if it Allow Overapplication is checked. Check that the invoice you are attempting to credit still has an open balance. 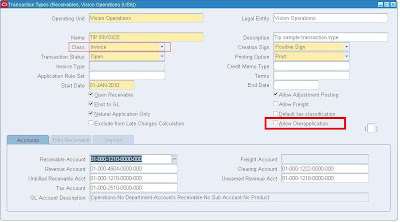 Below is the scenario we are trying in Receivables Manager Create 5 AR INVOICES each with amount $200. The total amount of these ar invoices is $1000.Create an AR Receipt with amount $500 and apply the receipt amount to all the above 5 invoices .Now the unapplied amount becomes <500>By applying the single chargeback with $500 the outstanding amount for all the 5 invoices becomes 0.